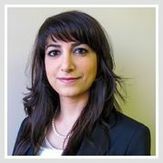 Farnaz Mirshahi practices exclusively in the area of family law as an associate at the law firm of Fryer & Williams. Farnaz is a graduate of the University of Toronto’s Faculty of Law and began practising family law following the completion of her LL.M. degree. Farnaz is dedicated to excellence in assisting her clients at all stages of the dispute resolution process. She strives to achieve the best possible outcomes for her clients and believes in utilizing a reasonable and respectful approach in family law matters. Farnaz particularly welcomes Collaborative Practice as an alternative to litigation for many clients who she believes find the collaborative approach more effective and ultimately more gratifying.